MARION Vicky Elliott, 52, of Marion, passed away Friday, April 12, 2019. Arrangements are incomplete at this time, and will be announced once finalized. Westmoreland Funeral Home is assisting the family with arrangements. Ann Green Rutherford, 86, passed away to her heavenly home Thursday, April 11, 2019, at Autumn Care in Marion, after a period of declining health. She is preceded in death by her husband, Glenn Rutherford, of Pennsylvania. She is survived by her son, Aubrey Hines (Robin), of Marion; daughter, Audrey Gower (Geoff), of Seven Lakes; granddaughter, Ginny Rhodes (Chris), of Old Fort; granddaughter, Whitney Moore (Greg), of Old Fort; grandson, Cameron Gower (Vinita) of Washington, D.C.; granddaughter, Emily Gower, of Raleigh; granddaughter, Madison Wright (Grayson), of San Diego, Calif.; great-granddaughter, Scarlett Rhodes; great-granddaughter, Presley Moore; and great-grandson, Sawyer Rhodes. She is also survived by numerous nieces, nephews, cousins and friends. Ann was born July 15, 1932, to Earl and Gussie Green where she grew up with her six brothers and sisters in Oxford. She spent her career as owner of Rutherford Insurance Agency in Lemoyne, Pa., for over 30 years. She enjoyed traveling, shopping, going out with family and friends, and a hot cup of coffee. A graveside service is set for today, Sunday, April 14, at Sunset Gardens in Henderson, where she will be buried next to her husband. Hall-Wynne Funeral Service, of Oxford, is assisting the family. In lieu of flowers, please send donations to Liberty Freewill Baptist Church Memorial Scholarship Fund, 4089 U.S. 70 West, Marion, N.C. 28752; or to Care Partners Hospice McDowell, P.O. Box 25338, Asheville, N.C. 28813. The family of Ann Rutherford would like to thank Autumn Care nursing home of Marion for the wonderful care she received during her stay. 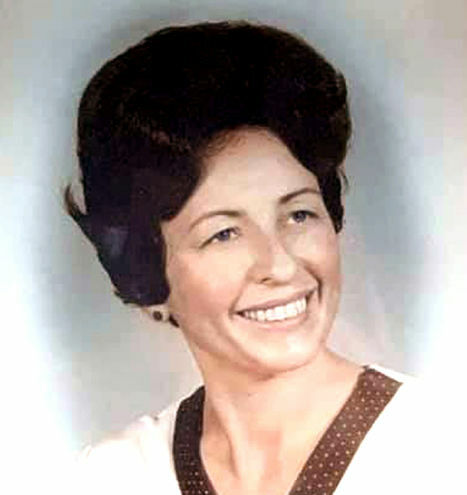 Bobbie Jo Beckworth Ward, 75, of Marion, passes away Friday, April 12, 2019. A visitation will be held Tuesday, April 16, from 1 to 2 p.m. at Greenlee Baptist Church. The funeral service will follow at 2 p.m.
A full obituary will be in the McDowell News on Tuesday. Westmoreland Funeral Home is assisting the family with arrangements.